So, Brink is out. And it's divisive! Some people appreciate the new things it's trying to do, others lament the fact the game is in many ways simply broken, while others still have no idea what to think. Whatever your view on the game, though, surely we can all agree the thing looks great. Its stylised characters, vibrant colours and rich blue sky are all a breath of fresh air as far as shooters are concerned, the genre normally content to slug it out amidst a wash of browns, greys and brown-greys. Interestingly, the inspiration for the game's unique art style comes from some unlikely sources. The slightly deformed player models, with their elongated features, were inspired by the works of Australian sculptor Ron Mueck, as well as American comic artist Jon Foster. 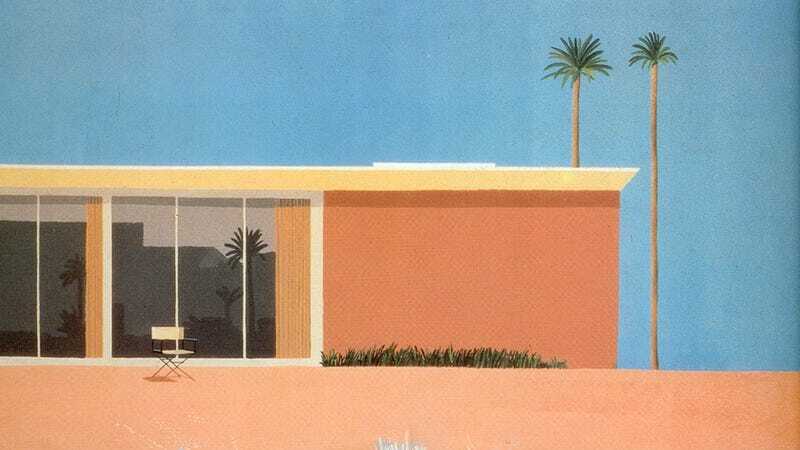 Brink's "washed out" colour scheme, meanwhile, draws from English pop artist David Hockney's famous series of swimming pool paintings from the late 1960s, along with American artist Edward Hopper's strong, contrasting use of light (Hopper's Nighthawks should be familiar to just about all of you). The gallery above features concept art for the game, where the colours and hyper-real character design from the above inspirations are clear to see. If the pic looks a little "zoomed in", be sure to click the "expand" icon to see it at full size.